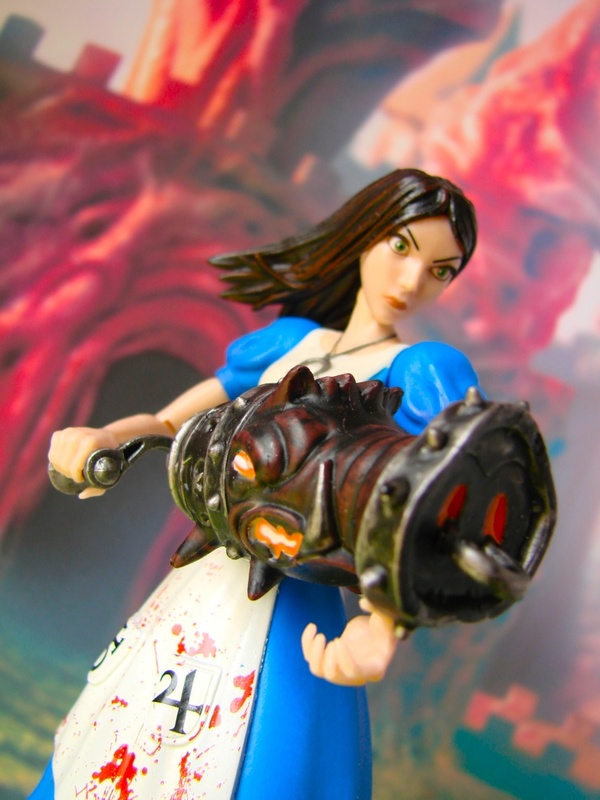 If you're not sold on the new series of Alice: Madness Returns toys from Diamond, click on through to check out some awesome shots of the toys in 'action'. 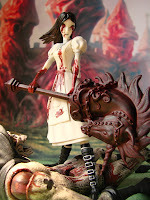 And if you're a fan (in which case you probably have 'em all already), nab some ideas for your display. 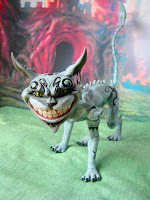 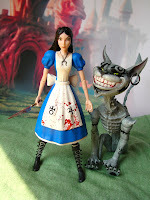 The toys are based on the second game in American McGee's dark vision of the Wonderland that we all grew up with. 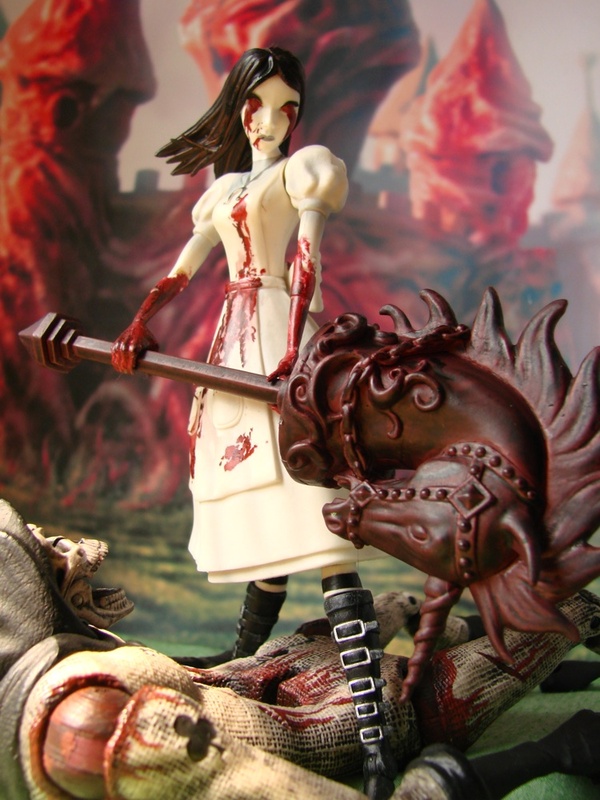 It's a pretty amazing (but very mature) series of games just for the artwork and design if nothing else- though they're pretty fun to play in all their gory glory too. 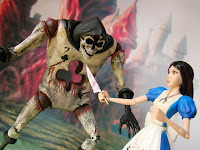 Pictured here are Diamond Select Toys' version of the title character, Alice (who comes with vorpal blade, pepper grinder, and hobby horse- none of which is as innocent as they moght sound), The Cheshire Cat, Zombified Card Guard, and Hysteria Alice. Hysteria is a kind of 'invincibility mode' in the game. And seriously, that's my pick as the best figure in this very strong set. Just take a look at that last shot on this page... awesome. 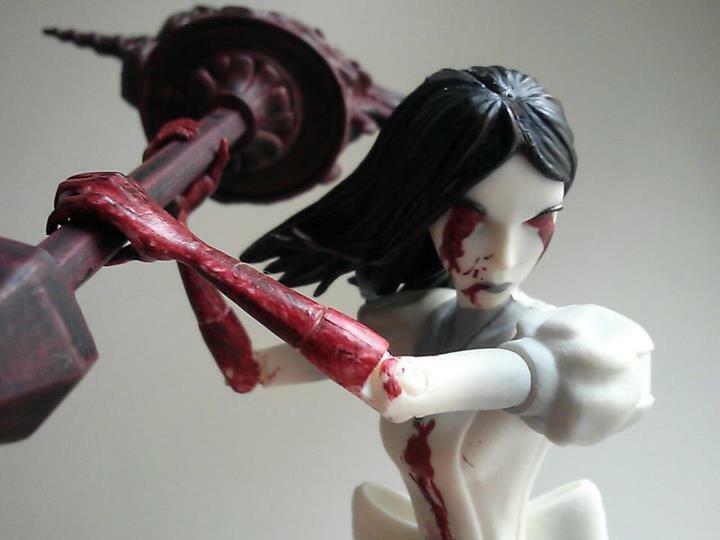 Everything you see here is available right now at your local comic shop or favorite online toy retailer. Though some may certainly be sold out.